I was given a task to re-design the logo below for my friends Theatre Company SpartaKi. 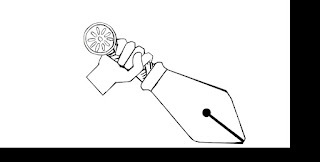 The Pen Nib in place of a sword blade representing that the pen is mightier than the sword. The first idea I had was to draw up a pen nib sword with a blot of ink that I thought might look good with SpartaKi written in it. I found an ancient Greek symbol online and encorporated it into my design. After conversing with my friend, we decided to keep the hand holding the sword so as well as the ink mark. 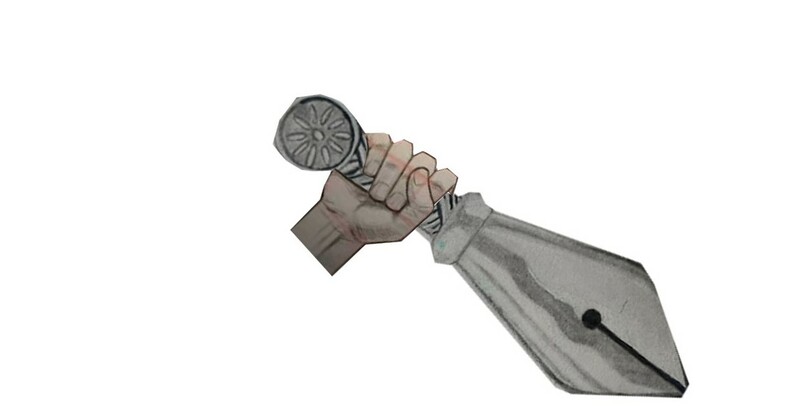 So I incorporated the hand on to my sword. 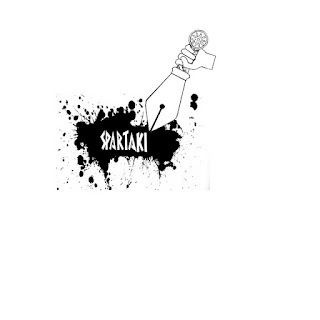 Thus started my journey on learning how to use the software Gimp on my PC. I was clueless so this took me a while. Once I figure it out I became well versed in how to create digital collages with the software. Just Google Gimp and you should be able to find a free download. There are plenty tutorials on how to use it on Youtube. 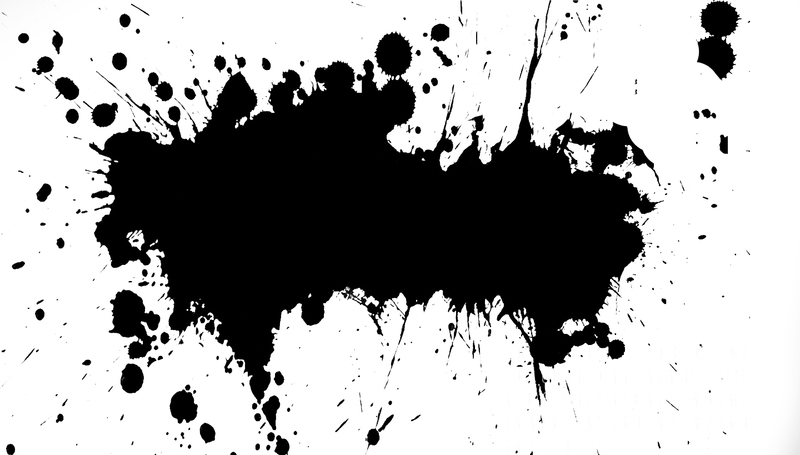 I sourced myself an Ink Splatter which I quite liked. 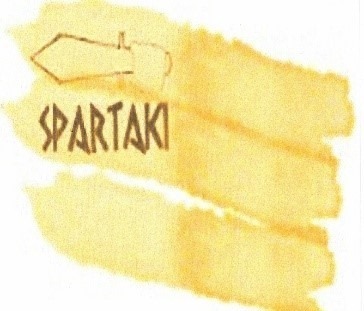 tried out some other fonts with he splatter but decided the original SpartaKi was the best one.So I began to cut this out and fix it all up for my splatter. Which took me a while due to being a novice at this image manipulation game. Here is the final Logo design which has been used for a business card and will be used for all of SpartaKi's promotional material. I'm feeling pretty happy with this work, I have learned some way to use image manipulation software. 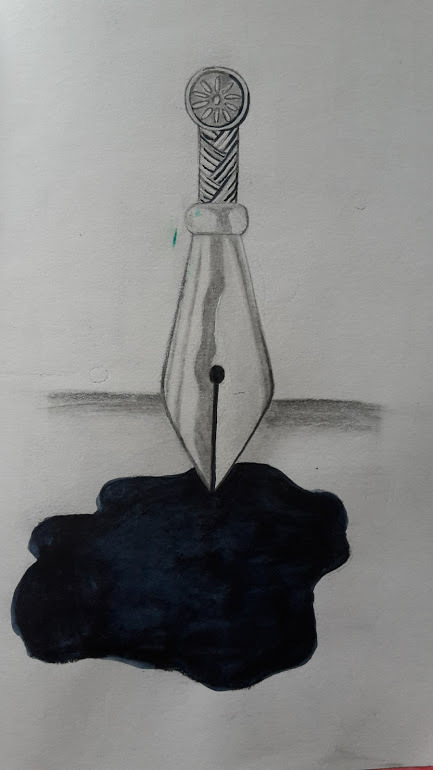 Hope I'll get better and better the more I work on stuff and I'll be able to create more. If you guys have any thoughts or tips please do share as I'm all ears..